The US has installed a number of observation posts overlooking the Turkish border in Kurdish-controlled parts of northern Syria, in a move that has antagonized Washington’s Nato ally, as it prepares for an offensive on its southern border. 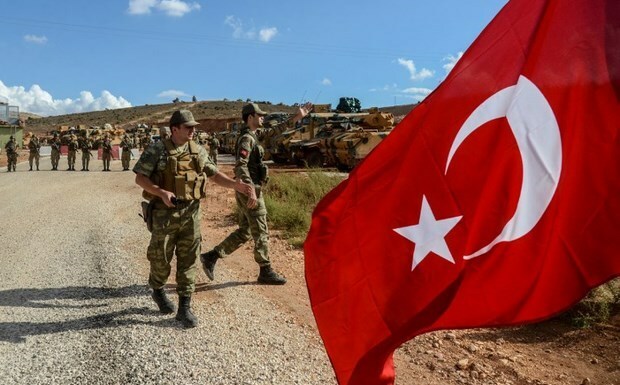 “The observation posts are being established in areas along the border where there is a potential for clashes between Turkey and Kurdish forces,” Nouri Mahmoud, a spokesperson for the Kurdistan Workers’ Party (YPG) told the United Arab Emirates publication, The National, on Tuesday. The Kurdistan Workers’ Party is a militia waging a decades-long insurgency against the Turkish government. He refused to disclose how many observation posts the US has established, but said the regions of Tel Abyad, Ras Al Ain and Kobane, were among the places were observation posts were “deemed necessary”. Iraqi Kurdish outlet Rudaw reported on Friday that US forces have established at least five posts along the border, the National recalled. Turkish Vice President Fuat Oktay called on the US on Monday to act as a partner that respects Ankara’s operations against Kurdish rivals stationed across the border. Earlier on Friday, Turkey’s Defence Minister Hulusi Akar told US Syria envoy Jim Jeffrey that the US should stop building posts along the border. “The US should cut ties with the YPG, which is no different from the PKK,” Mr Akar told the US envoy, according to Anadolu Agency. The PKK group is designated a terrorist organization by Turkey, the United States and the European Union and works closely with the YPG. “The US should also call off its plan to set up observation points in northern Syria,” Mr Akar said. President Recept Tayyip Erdogan has sent troops into northern Syria to attack Kurdish positions before and is reportedly angered by the observation posts. According to US Defense Secretary James Mattis, the posts are there to warn its NATO ally of any threats to Turkish territory. Turkish leaders see it as a plan to protect the Kurds.